In honor of 2014's 2nd GBV album, Cool Planet, 4 separate 7''s were released. The A-sides each contained a cut from the upcoming LP, while side-B featured an exclusive track. Each were limited to 1000 copies, some sold through the Rockathon webstore, others through retailers. Each of the 4 7'' singles were pressed on a different color wax. This one.....translucent brown. 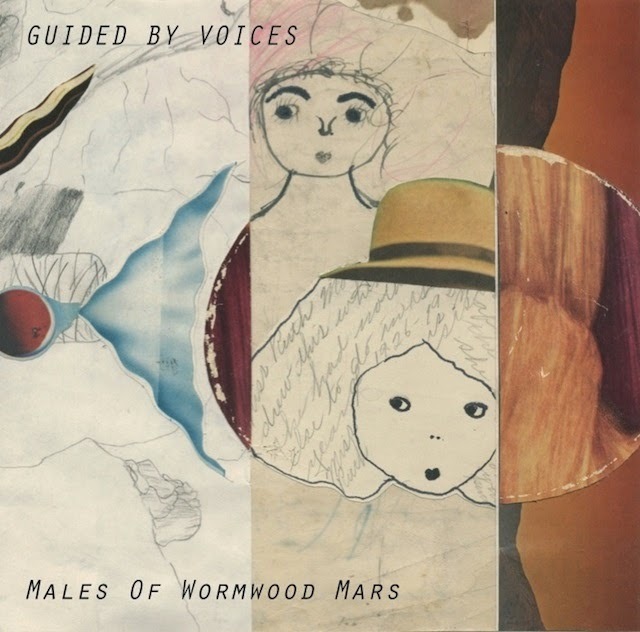 Males of Wormwood Mars- Same track that appears on Cool Planet. Read the review there. A Year That Could Have Been Worse [Original Version]- 4 Written by Robert Pollard. Performed and recorded by GBV guitarist Mitch Mitchell. So says the credits to this exclusive b-side. Throbbing organ noise accompanied by rudimentary drums. Mitchell handles the vocal melody nicely. Mainly for fans, but this is a pretty wonderful vocal hook that cuts through Mitchell's sparse rendition of Pollard's penned track. Another version of this song was recorded in later 2014 for Pollard's solo vehicle Teenage Guitar off the More Lies From the Gooseberry Bush LP.